The Johnny Appleseed Trail of Trees was established through a partnership with Trees Indiana and The Johnny Appleseed Educational Museum at Urbana University in Urbana, Ohio. This program was designed to promote the ideals by which Johnny Appleseed lived and memorialize the roles he played in the development of the region by planting apple trees budded from the last living tree planted by Johnny himself. Discovered at the historic Harvey-Algeo Farm in Nova, Ohio, the Rambo apple tree is the last known living tree planted by Johnny Appleseed. Softwood cuttings were taken from the aging tree, and then budded and individually grafted onto apple rootstock. The resulting apple trees are genetically identical to the original “parent” tree – Johnny’s own authentic legacy. American Forests presented Trees Indiana with 22 of these historic Rambo apple trees and Fort Wayne’s own Johnny Appleseed Trail of Trees was planted. 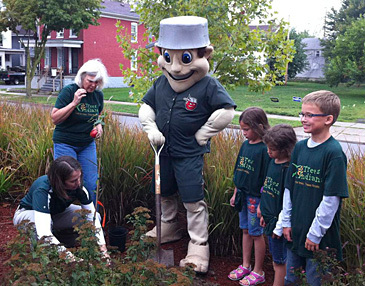 The inaugural planting took place at the entrance to Parkview Field (September 2011), where two Rambo apple trees were planted to recognize the man who inspired the name of the TinCaps baseball team. 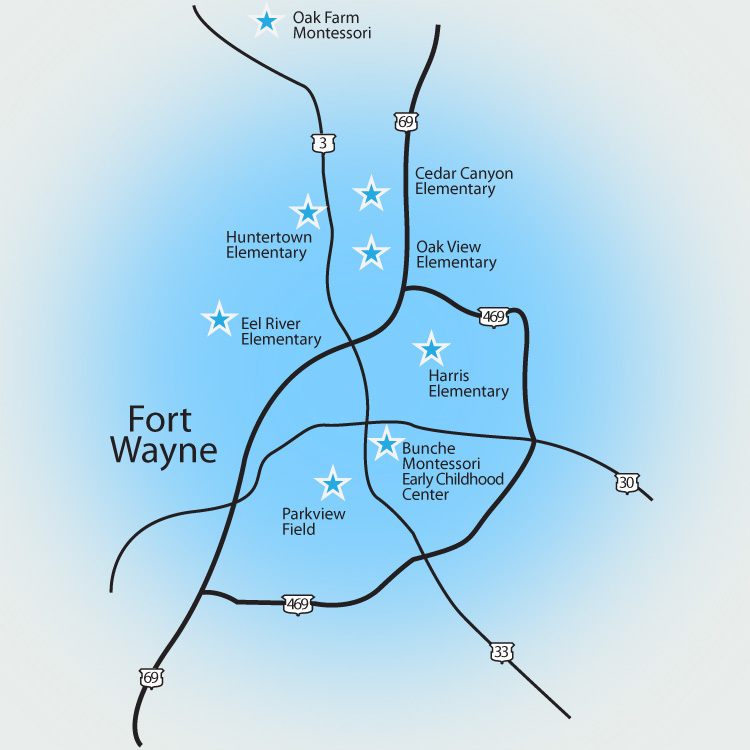 The trail continues throughout the city at area schools, planted with help from students The Johnny Appleseed Society has established a National Registry of Schools who in some way teach and/or celebrate Johnny Appleseed. Participating schools will be certified through the Johnny Appleseed Educational Museum, receive an official Johnny Appleseed School Certificate for display, and teachers will gain access to a variety of resources and instructional materials to assist with Johnny Appleseed lesson plans.